Located 6km from Nicosia, in Latsia area. 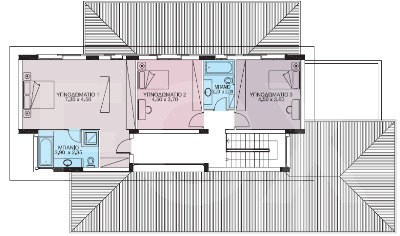 The plot is 699m². The total internal area of the mansion is 369m². Ground floor is 197m², double garage with electric door 38m², covered verandas are 45m², first floor is 134m² and pool in garden. The building covers 249m² and the rest 320m² is garden. Tempting pool 8m x 4m! 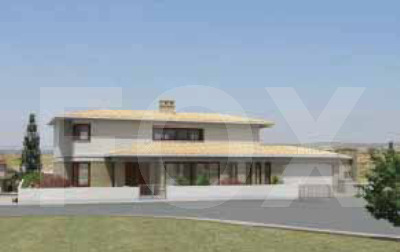 Nice entrance, bar area, living room with fireplace, TV room, dining room, spacious closed plan kitchen with casual sitting space and separate laundry room with an extra sink, office room, guest WC, covered veranda, mechanical room and semi detached maid’s room with en suite shower and its own entrance. 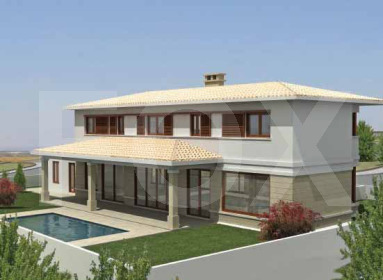 The first floor consists of 3 bedrooms and a full bathroom. 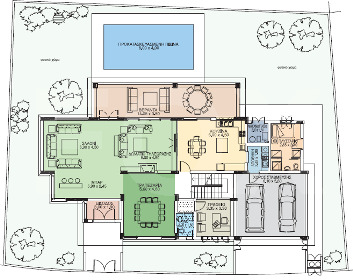 The master bedroom has an open plan walk in wardrobe and en suite full bathroom. Another two spacious bedrooms. 30,000m² public green areas have been landscaped with walkways and squares and have been planted with ornamental trees, bushes and grass. Trees have also been planted along all major roads making it one of the most vegetated residential areas of Nicosia.